Harry Potter fans are eagerly awaiting any news about the upcoming Fantastic Beasts and Where to Find Them films that are in the works. The latest bit of news confirms that J.K. Rowling has completed the script for the movie. The Telegraph posted the update, stating that the script is complete and quoting producer David Heyman as saying that it's "wonderful." He also notes that they start filming next year. It's not hard to believe that the script is wonderful. No one knows this world better than J.K. Rowling, who penned all seven Harry Potter books, as well as numerous bonus books, the Fantastic Beasts reference guide among them. I doubt I'm alone in feeling much more confident about a Fantastic Beasts film penned by Rowling than I would be if she weren't at the very least, involved with the story, considering how thin the source material is, as it relates to the lead character, Newt Scamander. 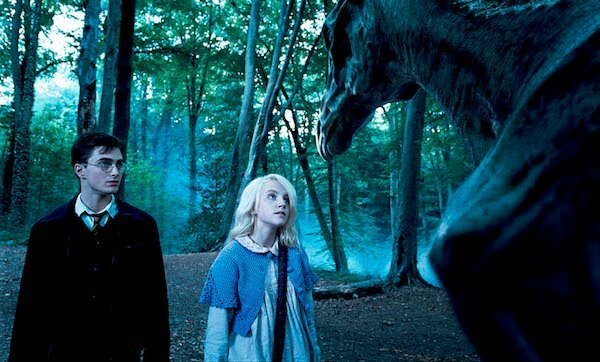 Fantastic Beasts and Where to Find Them is set up as school text book, which catalogs various magical beasts in the Harry Potter universe. What little we know about the fictional author, Newt Scamander, is limited to the introduction and forward, neither of which delves into many details about Newt Scamander's adventures. There's much to learn about this man and his travels, especially considering the adaptation is expected to span three or more films. We know that the first movie will pick up seven decades before Harry Potter first arrived at Hogwarts, and that it will begin in New York, Newt Scamander only meant to stay for a few days, and ends up for the length of a movie. So we're expecting the story of the first film to be set in New York in the 1920s. With the script in place and director David Yates lined up to helm, we're left to wonder who will star. Will Fantastic Beasts cast a relative unknown for the lead? Or should we expect a familiar face? Richard Madden or Domhnall Gleeson, perhaps? Or if they're aiming a few years younger, maybe Nicholas Hoult? There is no shortage of great options for talented U.K. actors, that's for sure. Beyond that, casting will hopefully help us fill in some of the blanks about the story, specifically related to supporting characters, whose names may be linked either directly (Albus Dumbledore was alive back then) or indirectly (A Potter or Weasley ancestor, perhaps?) to the Harry Potter books in some distant way. Fantastic Beasts and Where To Find Them isn't set to hit theaters until November 2016, and as Heyman notes, the film's still in early stages of development, so we may still have some time to wait to hear about casting, but with the script complete, we'll be keeping our ears open (wands at the ready!) for any news on that front.